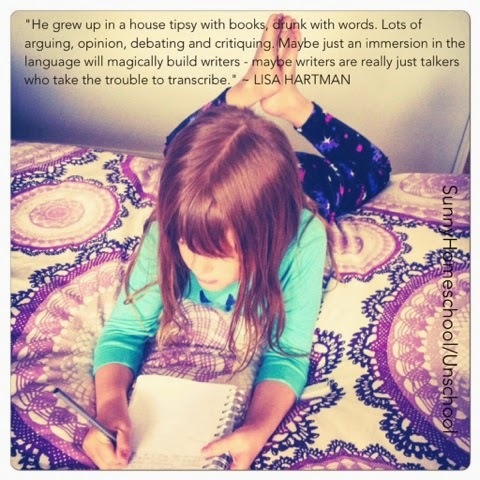 SunnyHomeschool/Unschool : Do we need to teach children to write? Do we need to teach children to write? A reflection on children and writing for me today. Well actually not all children, but more specifically my child. Last year my daughter was 7 and she told me she hated writing. This year she is 8 and today she told me how much she LOVES writing. What a difference a year makes in the life of a child. We have not done anything particularly different this year, but it just seems that she has found writing when she was ready to. She was diagnosed with dyslexia at the end of last year and has had struggles with learning to read that had been a frustration to her. I hated to see her struggle and her upset and we talked about ways we could support her. She wanted me to help her learn to read and I told her that I would find some things that were specifically designed to assist those with dyslexia and see how it went. It turned out that the programs we tapped into were fun and the little bit of scaffolding I have given her has helped her immeasurably over a relatively short period of time. She is able to decode words and read them by herself which is exactly what she wanted to be able to do. Systematic phonics have really supported her and she feels empowered which is great. I am wondering if this has had a knock on effect with her writing, or could it just be that she is surrounded by books, sees her Mummy writing and more importantly we have lots of conversation every day. We are just through our everyday lives immersed in rich language and cannot escape it if we tried. We listen to many audio stories, she is read to, she reads what she can herself, she does drama classes, watches films and television, sings songs and from here she is able to imagine her own stories based on all of her own personal life experiences. We don’t focus on spelling. It comes up when she asks and when we do Nessy which is a specific online reading program for those with dyslexia. Nessy helps us learn the rules of spelling which in turn can be very helpful to those with dyslexia. Sometimes we forget the rules and sometimes not. Dyslexia is a funny thing. One day you can have a word's spelling seemingly concrete in your mind and the next it is gone or you can read a word on a page but not translate that written word to paper. My daughter spells phonetically, which is very common with dyslexia and my son who is also dyslexic, still at the age of nearly 20 spells many words in the same way. Does that matter? Not for me. I have dyslexia too and spelling can be difficult for us. If someone can read it and it makes sense enough to understand then that is all that is important to me. Sure support your child to learn the correct spelling but don’t make it a big deal if it is not something that comes easily to them. Judgement of my spelling and writing really damaged my self esteem as a child and I don't want that for my children. I like to focus on what they can do. Not what they can’t. Their strengths are what may lead them on a path to their future careers. My son is an amazing computer programmer and my daughter is a gifted musician for her age. Whether they are great writers or not is not what is important to me but their love of learning what interests them is. We do not do rote learning and I do not expect my child to learn spellings unless she asks. What is interesting for me is that she does ask when it’s important to her and this has occurred whenever she is writing, so I don’t see the need for separate spelling tests. Recently it has become important to her to write her own narratives and she has been doing it non-stop all morning today. It started with her enthusiasm for Charlie and the Chocolate Factory that she has been learning at her Musical Theatre class and she then decided that she wanted to write her own version. It has made my heart sing seeing her enthusiasm for writing and her joy in sharing every single sentence she has written with me. She reads and re-reads each time she adds to her story and she comes to share with me in whichever place I am in the house. I am followed by my own little story teller. She writes wherever she finds herself, her bed, my bed, the kitchen table and the study. It has really made me stop and think today. Do we just over time become writers if we are interested in writing and are surrounded by rich language in all its forms? No specific teaching but just as and when the want arises in the child and just from observation, hearing and doing. That is what seems to have happened for my own daughter and I am wondering if I had forced her to write when she wasn't ready would I have turned off her desire to ever learn to write? So many children in school hate writing and they get forced to do it every single day as part of the curriculum. Sure writing is important in life. 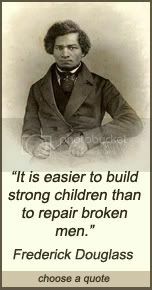 It is a good skill to have but is that worthy of forcing it on a child that is not ready to learn it? I have never taught her handwriting either. She has just learned as she has gone along and I think her writing is lovely, especially her little curls on her y and g and the butterflies she draws above her i. Her handwriting is a reflection of her. A little piece of her individuality. The more I lead this life of natural learning, unschooling, child-led, life learning or whatever you wish to call it the more I see that it works. 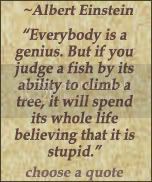 It worked for my son who is now 19 and whom I removed from school when he was 9. He is now in his final year of University studying software engineering and doing well. It also seems to be working for my daughter who has never been to school. I cannot help but question the need for all that is “taught” in school and of its necessity. My daughter is showing me her growth in learning to write all the time and without the use of curriculum, coercion and bribes. She has paper, a pencil and her imagination readily available to her. She has access to the computer to type if she wants and she has me to support her on her path and to listen to all her questions, observations and ideas. Not force her and not follow what someone else has said is the right way to teach writing and certainly not to make her write when she doesn't feel like it, nor critique her spelling and grammar ever step of the way. I have often questioned whether I am failing my children in not covering all that they do in school but I can see that I am not and it makes me smile. A lot. Her happiness is what is most important to me and damaging our relationship in the name of academics is not worth it for me. She is happy just the way things are and so am I.
Oh what a lovely post! As a Primary Teacher, and as a Home Educator myself, I love reading about Children that are free to learn in this way. Fantastic! I love how when we trust children, they show us that they will learn every single thing they need to learn as long as they are in an enriching environment and we offer them the support they request. And that's about all they need. I am a (newly) home/unschooling mama to my 8 year old son and I also run a very unschooling inspired "preschool" program with tons of familial involvement. I recently wrote a blogpost entitled "I Don't Believe in Teaching" and I think it really resonates with what you've shared here. Feel free to check it out: http://yogapreschool.wordpress.com/2015/06/24/i-dont-believe-in-teaching/ I really enjoy following you on facebook. Thank you for all you share! Good post as always.... I really like it. Your blog gives information regarding computer support sydney.